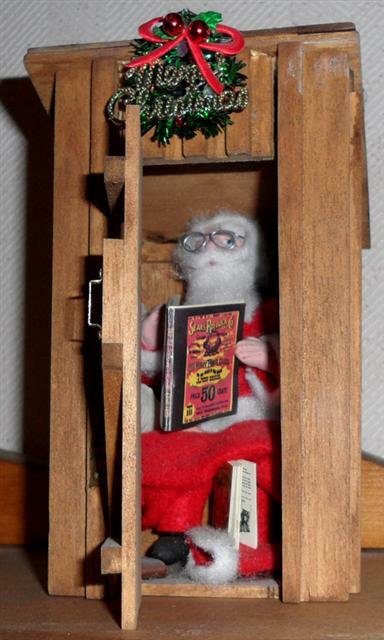 Santa's reading a Sears Catalog, of course! He is made of Sculpty clay. There's a billfold on the floor beside his foot.